The Reports subsystem of Central Geological Database (CBDG) provides data on archival geological reports, maps published in print and aerial photographs. It also enables the users to register the borrowed documents on their personal borrowing cards. 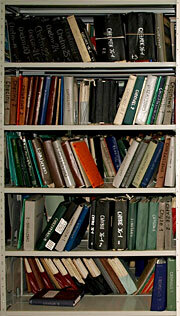 Reports registered in the subsystem are described by means of typical catalogue information (title, authors, year, inventory number) and, additionally, by numerous key words, chosen from several thematic vocabularies available. Every archival report is assigned serial map sheets and a national administrative unit. The summaries of archival reports can be also entered into the CBDG. The Reports subsystem of CBDG is related to other subsystems: Survey Sites, Geophisics - seismics, Boreholes and to the Infogeoskarb system which provides data on the rights to geological information in the archival reports and the costs of preparing geological documentation. A significant part of the data in the Reports subsystem was added to the CBDG in the course of the daily cataloguing of older documents and the ones the Central Geological Archives constantly receives.